Social skills, while usually "caught," sometimes need to be taught. The Secret Olivia Told Me is an elegantly simple book which illustrates the way in which a secret, once shared, is a secret no more. Like that old party game Telephone, the secret changes and grows as it spreads from person to person. Who has ever had a secret that was just to good to keep to yourself? With whom did you share that secret? Who likes to hear secrets? What's the problem with hearing a secret? Is it easy to keep to ourselves? Take a look at our cover, both front and back. What' seems to be happening here? Have you ever seen this occurring at our school? I thought my head would swell. So begins this tale, simply told in rhyme, and beautifully illustrated in crisply drawn black silhouettes with selective white details. Of course the story's narrator cannot keep the secret to herself, so she shares it with just one more friend. As the story progresses, a red balloon metaphorically grows in size in the background of each picture, until it explodes in a rain of confetti at story's end. Although this story is entirely predictable, students love it for that very reason; they have, after all, been witness to this very same phenomenon. They are secretly hoping that the two girls can salvage the relationship before this thing gets too far. Are there secrets that can be harmful if kept? Who are some people we can trust with our secrets, especially those secrets that make us uncomfortable? How do we know the difference between a good secret and a bad secret? Can you give an example of each? 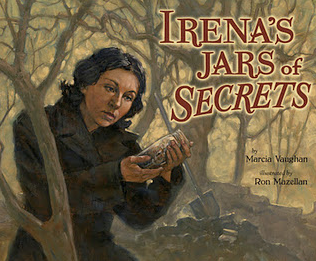 After hearing this poem read aloud, many students have wanted to share stories about secrets and secret telling. This is probably best handled as an optional journal prompt, since other children may have personal narrative to share on the concept. A simple acrostic poem using the word SECRET can give advice on how to be a better friend when it comes to keeping secrets. Discuss the purpose of advice columns in newspapers, and share an appropriate example with students. Then, provide two to three fictitious scenarios and allow students to respond with their advice. In which situations should they advocate secret keeping? In which situations should they advocate telling a trusted adult? A number of picture books on spies and codes are available for those students who want to explore the world of "professional secret keepers." The Bible contains a good deal of wisdom about the power of the tongue, and the need for it to be tamed. If you teach Sunday School, if you home school, or if you're seeking an idea for a devotional, check out this resource called Taming the Tongue. 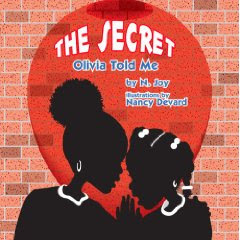 The Secret Olivia Told Me is published by Just Us Books, founded by Wade Hudson and Cheryl Willis Hudson in 1988. This innovative, New Jersey-based company is now considered one of the leading publishers of Black interest titles for young people.